The New Standard Works sits prominently on the corner where Regent’s Place meets Vittoria Street. Owners, the Ruskin Mill Land Trust, have been refurbishing the building in stages over the last few years. The first stage saw the development of the first floor into Argent College, a specialist further education college for young people with learning difficulties and complex needs which is run by its sister charity Ruskin Mill Trust. The second phase saw the creation of the Hive Café & Bakery on the ground floor and the urban roof top micro-farm. 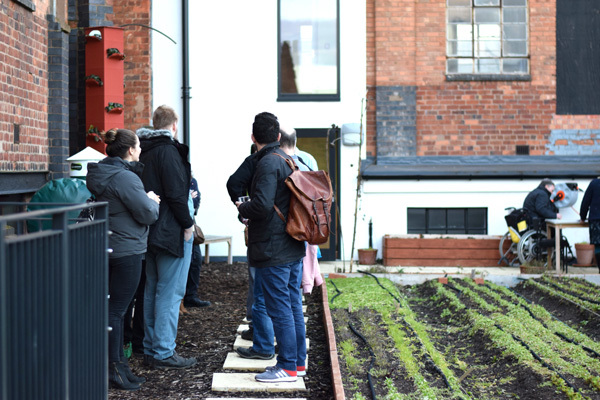 Students from the college are learning to bake in the café and grow organic produce on the roof as part of their curriculum. The café also provides an environment for the students to gain valuable work experience. The current phase of works at New Standard Works will see more refurbishment on the ground and top floors. itage Hub. This will have two functions. The first is to have a creative space which will include interpretation about the building and its many, many different trades since 1879. 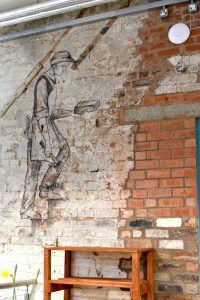 Exhibitions will explore innovation, invention and some of the more hidden social histories of the JQ; featuring women, children, and deaf and disabled workers. We will have a temporary exhibitions programme about the trades of the JQ – both traditional, and contemporary; giving lots of reasons for people to come back. 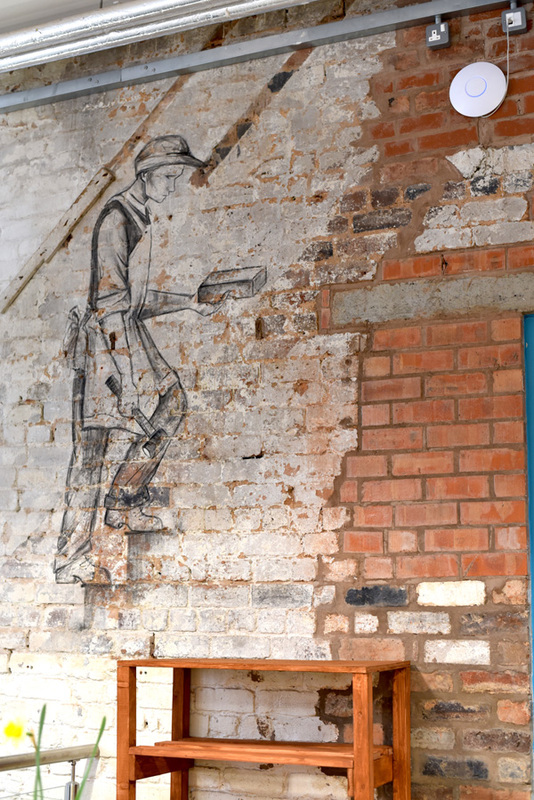 There will also be an area for people to come in and do some research on the Jewellery Quarter. The second function is to create a visitor information centre where we will have a trained team of volunteers who are able to talk knowledgeably about the area and signpost people to all the museums, galleries, heritage buildings and tours in the area. We are getting ready to open The Hive Heritage Hub on 21 July to coincide with the 2018 Jewellery Quarter Festival and Open Studios event. The façade of the building is also being refurbished, which includes stripping back the paint to reveal its original red brick and stone, as well as conserving the windows. We will be running some public Under-wraps Tours of the building in June and July. Argent College is an integral part of the local community and young people are given opportunities to work in the commercial bakery, café, cultural programmes, jewellery workshop and roof top garden, serving the community and developing essential employment skills. College facilities are also expanding. Currently under construction is a therapy and movement studio on the top floor, and it is soon launching its jewellery making social enterprise, Cornerstone Academy, from No.9 Regent’s Place, now also owned by the Ruskin Mill Land Trust. Once this phase of capital works has been completed; we’ll be getting ready to welcome to the rooftop micro-farm our first beehives next summer. 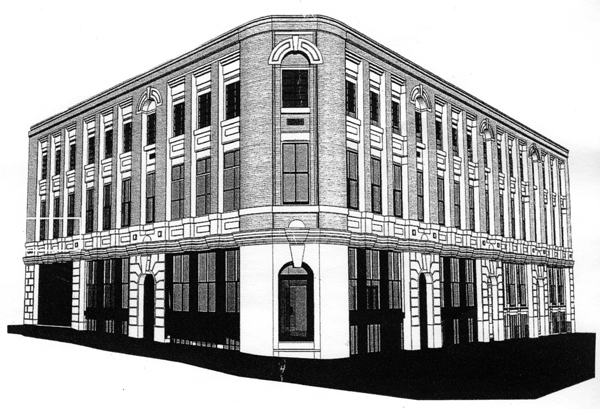 Yes – beehives in the Jewellery Quarter! Later phases of work are in planning for a larger ground floor gallery space and a makeover of the basement into a performance space for shared use by the college and community; fundraising is ongoing. There are currently four other HLF-funded projects in the area, at different stages of delivery. These include the JQ Townscape Heritage Project, JQ Cemeteries Projects and, along the canal, The Roundhouse. NSW is going to be working in some way with all these projects; both at the Hive Heritage Hub and as collaborators on a JQ-wide volunteering programme which is in the early planning stages. Hot pinks, soft blues and neutral. ‘Make your Mark 2019’, organised by. Vittoria Street Gallery is delighted to. Due to its continued planned expansion. A private road in Birmingham’s Jewellery. One of the greatest treasures of. Over 10,600 Royal Mint coins went. 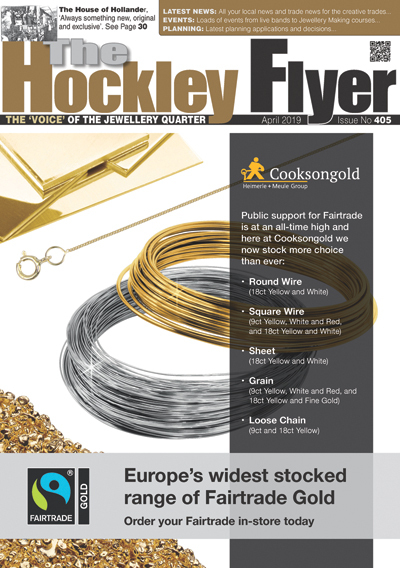 On 5 February 2019, London’s Goldsmiths’. February 22 to 25, 2019 Inhorgenta.